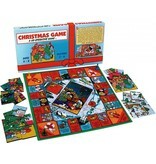 2 to 4 Players, Ages 5 to 8 Players try to make sure that everyone has a Merry Christmas. They help each other get all the pieces to make their own Merry Christmas Puzzle picture. This involves sharing and giving. In the center of the board is the Manger scene, the very essence of Christmas. Don’t let this get clouded over by such events as People Being Mean to one another or you might all lose the game! A big challenge! What pleases us is that youngsters enjoy the game all year round. 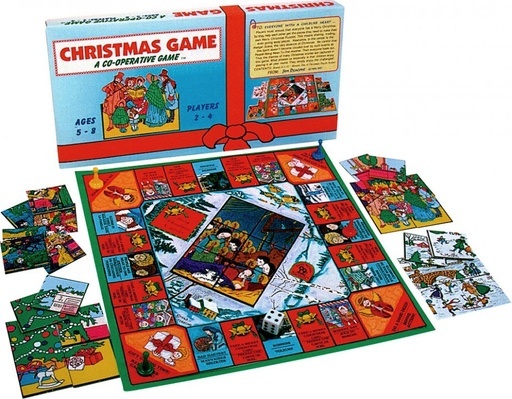 Includes: 12 x 12″ board, movers, die, Merry Christmas puzzles.